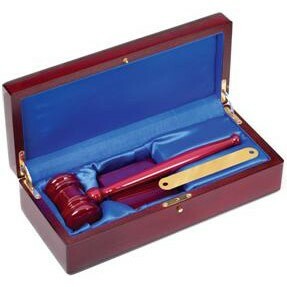 This deluxe gavel set includes a 10" gavel inside a rosewood finish case. Includes a laser engraved plate. 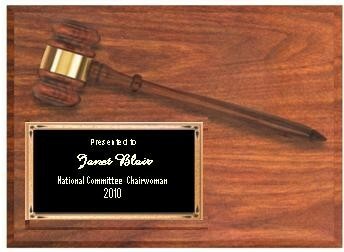 Ladies' 8" Walnut Gavel. Includes gold band (shipped unattached). No laser engraving. 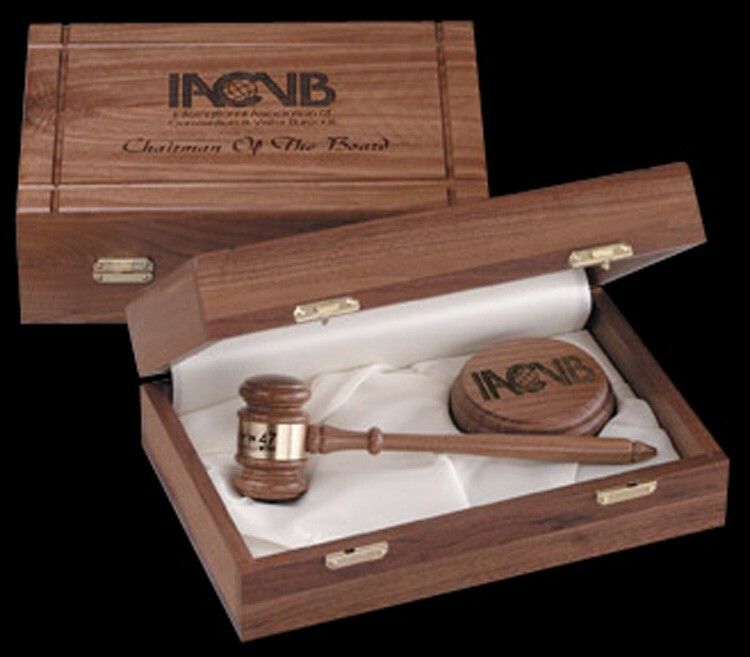 This truly impressive American Walnut 10 1/2" faceted (square head) gavel is presented in a hand-crafted, ivory satin lined, solid walnut (8" x 12") case with matching American walnut 4" square sound block. Sound block and case may be laser engraved. American made dark gray presentation box with 10 1/2" American walnut faceted (square head) gavel and 4" square matching sound block. 9" x 12" Rosewood Plaques with Gavels and Sound Blocks. Comes with an engraved Black Teardrop plate. Plate engraves gold. Engraving is included. 9" x 12" Genuine Walnut Plaques with Gavels. Comes with an engraved Black Teardrop plate. Plate engraves gold. Engraving is included. 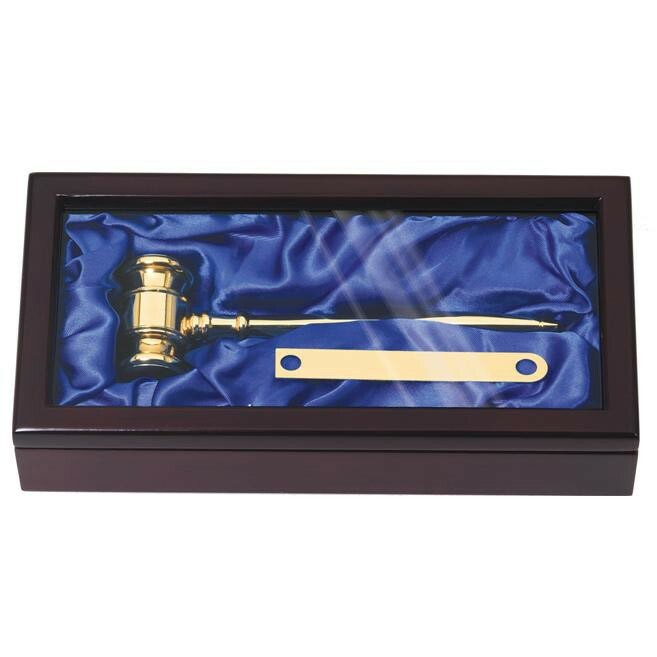 This deluxe gavel set includes a solid brass 8" gavel inside a mahogany finish case. Includes a laser engraved plate. 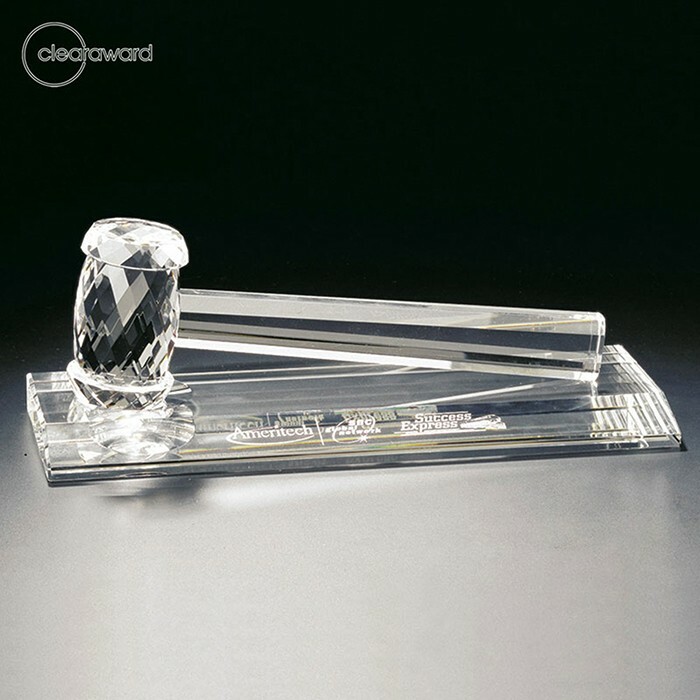 Optical crystal gavel award, base. 9" x 12" Rosewood Plaques with Gavels. Comes with an engraved Black Teardrop plate. Plate engraves gold. Engraving is included. 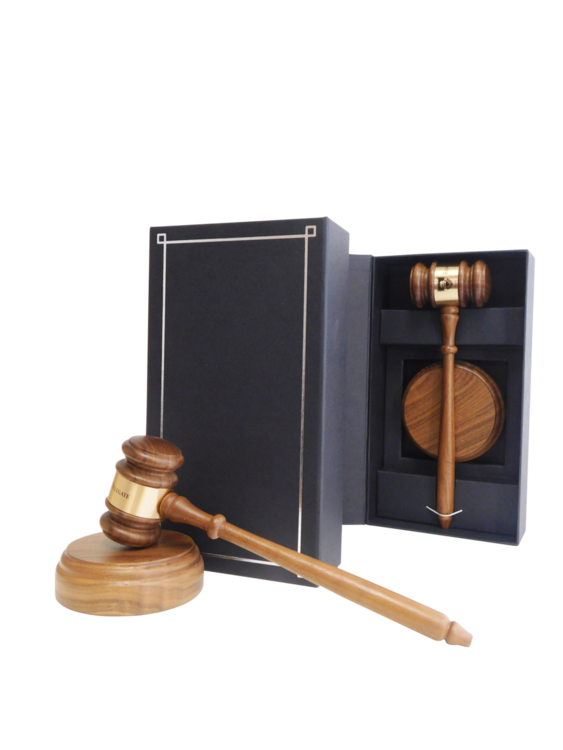 American made dark gray presentation box with 10 1/2" American walnut gavel and 4" round matching sound block. Brass band included for engraving. 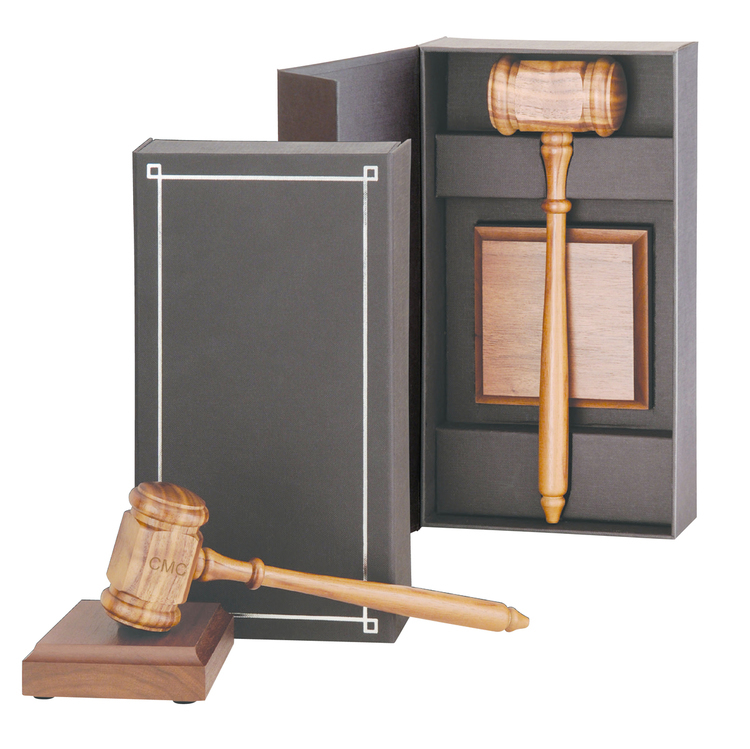 This deluxe gavel set includes a 10" gavel inside a walnut finish case. Includes a laser engraved plate. 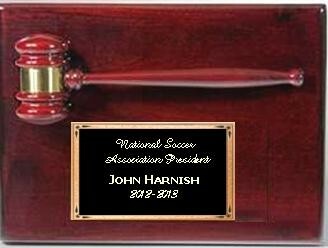 Men's 10" Piano Finish Gavel. Includes gold aluminum band (shipped unattached). No laser engraving. 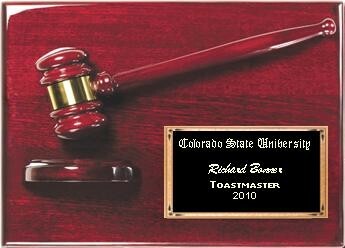 9" x 12" Walnut Finish Plaques with Gavel. Comes with an engraved Black Teardrop plate. Plate engraves gold. Engraving is included.  Ladies' 8" Piano Finish Gavel. Includes gold aluminum band (shipped unattached). No laser engraving. Blackstone Gavel on Base. Faceted Optic Crystal. 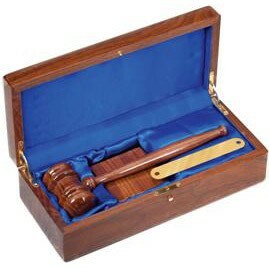 This truly impressive 11" American Walnut judges gavel is presented in a hand-crafted, ivory satin lined, solid walnut (8" x 12") case and features a jeweler's brass engraving band and matching American walnut sound block. Sound block and case may be laser engraved. 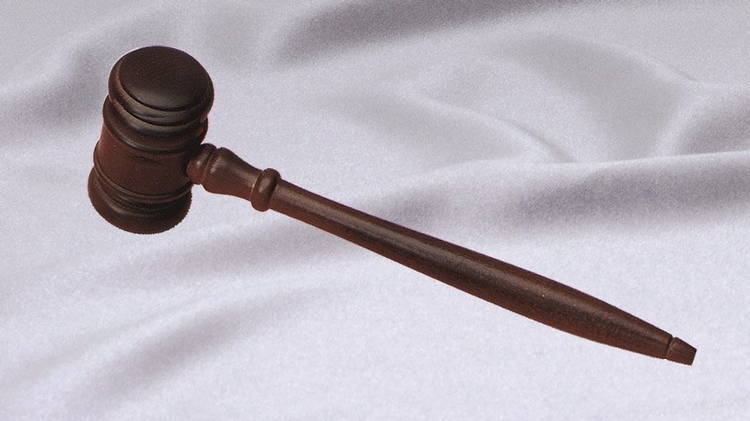 Mens 10-1/2" Walnut Gavel. Includes gold aluminum band (shipped unattached). No laser engraving.